We offer our customers the convenience of fully bonded and insured interior door installation and repair services in Washington, DC. Whether your door suddenly broke or you’re remodeling a certain room and need door replacement, DC Local Locksmith Experts can install and repair a variety of doors for interior rooms – pocket doors, French doors, shower doors, and more! The interior doors of a home reflect the style and feel of a space. Each home has a unique interior that deserves the attention of the professionals at DC Local Locksmith Experts. We have the experience and the knowledge to install and repair interior doors from the frame to the finishing hardware. Our services are available in Washington, DC and the surrounding areas, at all hours of the day or night. We offer our customers the convenience of fully bonded and insured service with our 24/7 DC door services. When contacted for service, our fast and friendly associates will take your information and immediately relay it to a skilled door installation technician. Our trustworthy and reliable technician will visit the property to assess and evaluate the situation. The technician will then supply the customer with an honest and competitive quote. Our upfront pricing guarantees that there will be no hidden costs or fees involved in any of the services we offer on a wide variety of residential doors. We will only begin work after you confirm that you’re okay with the price. Pocket doors: These pocket doors have the ability to “disappear” into the walls of the room. They are especially handy in areas where the room is small and will benefit from pocket doors that do not open into the space. Designers use these doors to close off spaces that are normally used as a public area, such as a detached dining room, instantly transforming a large space into a small space. Closet doors: The replacement of closet doors is often a choice of design rather than function. Our skilled associates can help you choose the door that best accents the room, repair non-functioning doors, or replace damaged doors with a brand new model and style of your choosing. Pantry doors: Keeping the contents of a pantry hidden from view gives the kitchen a clean look. The addition of pantry doors and matching door hardware on an exposed pantry will enhance the flow of the room, as well as keep dust off your stored items. Bedroom doors: Many homeowners find while remodeling a bedroom, the old bedroom doors interrupt the look of the new room. At DC Local Locksmith Experts, we have the knowledge and skill to replace or repair any type of issue caused by bedroom doors. Bathroom doors: Bathroom doors often become warped and broken down from the moisture in the air. This is especially true in bathrooms without proper ventilation. When exhaust fans are absent, it allows the water vapors to settle and stay on the surfaces and on the bathroom doors, causing damage. Our technicians will replace broken bathroom doors quickly and professionally. Doggie doors: Installing doggie doors allows the four-legged member of the family to enter and exit the home without the aid of the two-legged members. Our mobile technicians will complete the on-site installation of these types of pet doors in a matter of hours. French doors: French doors are a great addition to a home to give a dramatic break to a large space or grand entrance to an outdoor patio area. Our technicians can install these French doors in Washington, DC and surrounding areas in a matter of hours, depending on the amount of work involved. Bi-fold doors: These types of bi-fold doors are great for spaces such as small bathrooms, bedrooms, and utility closets. These doors operate on either a single or double metal track on the top and bottom of the door frame. The doors open accordion style to the sides, saving the room space. 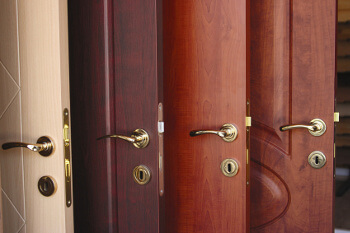 Interior decorating, damage, and updating are all good reasons for replacing or repairing the internal doors in a home. Our professional team of fast and friendly associates will install and repair residential doors for the entire Washington, DC area. Call on us to take advantage of our bonded and licensed 24/7 DC door services from our fast and friendly team with DC Local Locksmith Experts in Washington, DC. Installation and Repair of Interior Doors https://dclocallocksmith.com/interior-doors-dc/ 4.0/5 based upon 19 reviews.